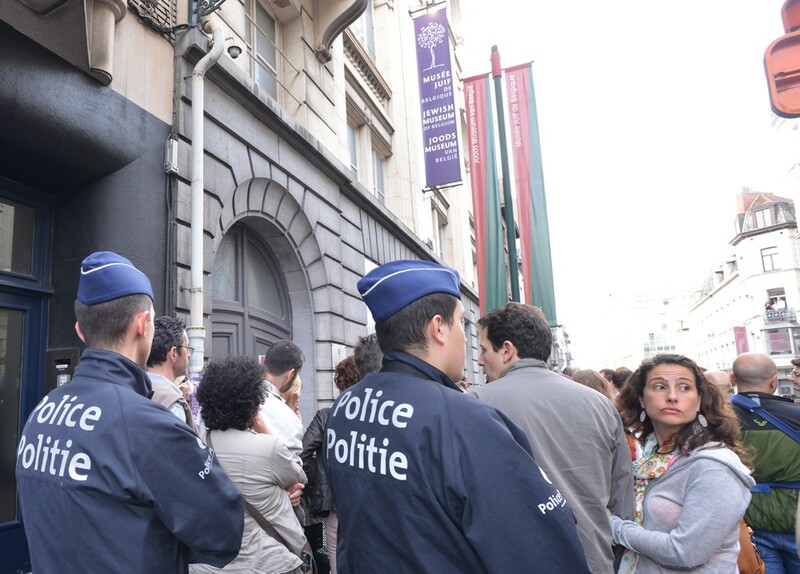 Although they now have to pass through a metal detector flanked by three armed soldiers, visitors to Brussels’ Jewish museum seem undeterred by the security arrangements that were introduced there last year, after the slaying of four people, allegedly by an Islamist fanatic. 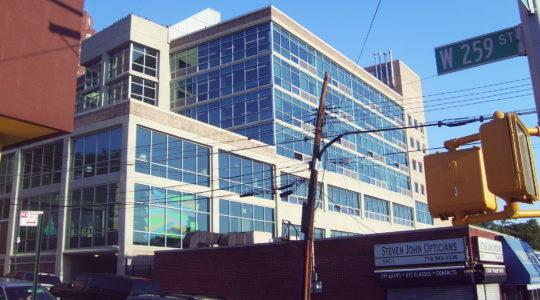 Almost a year after the May 24 shooting, the museum welcomes 80 to 250 visitors a day. That’s a considerable increase from prior to the attack, museum spokesperson Chouna Lomponda told the La Libre Belgique newspaper ahead of the one-year anniversary of the attack. 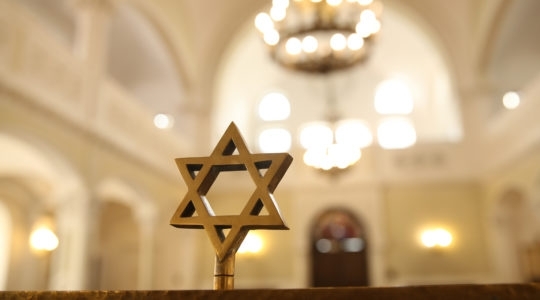 In the Belgian media, the occasion provided an opportunity for journalists to look back and take stock of Belgium’s anti-Semitism problem, which local community leaders say is creating a silent exodus and endangering the very survival of the Jewish minority in a country whose capital is also the capital city of the European Union. “The number of visitors keeps increasing, but that’s an ongoing trend that started when we began putting on temporary exhibitions, which render the museum more attractive,” the museum’s director, Philippe Blondin, told La Libre Belgique. The museum, located in central Brussels, was closed after the attack and did not reopen for four months. Before the murders, it was one of the Belgian capital’s few Jewish institutions that was not placed under police protection – a fact counterterrorism experts said suggested a high degree of preplanning by the perpetrators. Belgian authorities are holding two men they say are responsible for the murders: 30-year-old Mehdi Nemmouche, a French national who is believed to have fought in Syria with jihadists and who is standing trial for pulling the trigger, and Nacer Bendrer, 26, who is believed to have helped Nemmouche plan the attacks. They both deny their involvement. A third individual is wanted for questioning for suspected complicity. If Nemmouche pulled the trigger, it’s because he was able to give Belgian secret services, who were following him before the attack, the slip. He then managed to escape all the way to France’s southern tip, where he was arrested, during a routine customs inspection, several days after the shooting with a bag full of weapons similar to the ones used at the museum. An internal investigation into how that happened may result in disciplinary action against the security officials who allegedly let him get away. In the past year Belgian authorities have boosted security, including by army troops, for Jewish institutions in Brussels and Antwerp despite complaints by some nongovernmental groups that the measures are disproportionate to the threat, Joel Rubinfeld, the president of the Belgian League Against Anti-Semitism, or LBCA, and former president of French-speaking Belgian communities, told Le Soir on Tuesday. Brussels Mayor Yvan Mayeur “did not speak out when they were shouting ‘death to Jews’ at anti-Israel demonstrations,” Rubinfeld said. As Belgian media debate political and legislative challenges connected to the attack, the families of the deceased are preparing to attend a commemoration outside the museum on Sunday, when the institution will close its doors for one day in honor of the victims: Emanuel and Miriam Riva, two Israeli tourists in their 50s; Dominique Chabrier, a 66-year-old volunteer from France; and Alexandre Strens, a 25-year-old museum employee.